Here is Text of Senate Bill #14 (pdf) and its current status. Also: Here is our Reference Page on SB14, which could have more links. 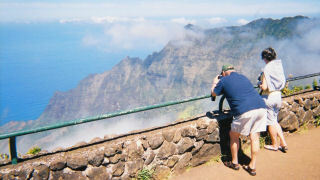 A public hearing was held on the bill on Nov. 8. Our editor attended and was the first to speak in opposition to the measure. The hearing is reported in this Nov. 9 article in the Rebuke Urinal™. 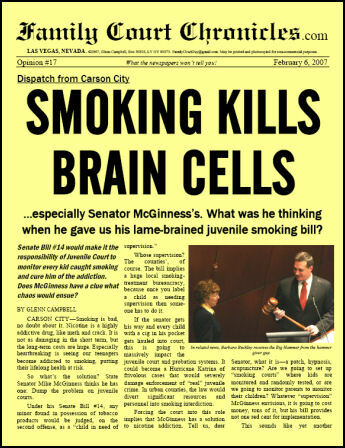 GRAMMATICAL NOTE: We personally delivered this newsletter to Senator McGinness, who took it in good humor. However, during the course of the hearing, he pointed out to our editor that it should properly be McGinness', not McGinness's. Our editor said that he had thought "long and hard" about that extra "s" but had decided to keep it to avoid any possiblity of ambiguity.